Quiet,charming, and close to everything! Discover Seaford real estate below! 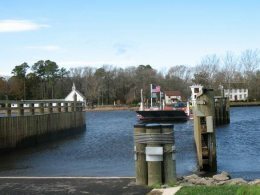 Lying along the Nanticoke River and incorporated in 1865, the town of Seaford, Delaware has a rich history in many industries. One look at the city's Seal provides hints of its varied past. A banner on the seal reads "Nylon Capital of the World," a nickname given to Seaford, in 1939, after being chosen by DuPont to be the site of the first nylon-producing factory. Two farmers represent the agricultural background of the state, which has produced everything from tobacco to poultry feed items. The icons of a ship and a basket of corn represent Seaford's history in shipping and milling. Finally, a chicken is pictured in the center of the seal, paying homage to the poultry industry that remains so important to Seaford today. Seaford remains an important trade center and a popular place to live due to its centralized location on the Delmarva Penninsula, and easy commute to large eastern cities, as well as Sussex's beach resorts. Residents of Seaford appreciate that it offers the atmosphere of a small town, yet has all the amenities one would look for in a larger city. Seaford real estate remains in demand for these reasons. See all of the current listings below, or keep reading to find out more about Seaford homes for sale and the many great reasons to call this great community home. Create custom searches, bookmark your favorite listings and get email alerts when homes in Seaford matching your dream criteria hit the market. As the largest town in Sussex County, there's a great selection of Seaford homes for sale for all preferences and budgets! From charming bungalows to spacious ranchers and traditional single-family homes to modern estates, this family-friendly community has it all! Homes typically start around $100,000 for a simple starter home and can range upwards of $1 million for a large, private residence with a few acres. It's riverfront location affords several homes in Seaford waterfront views and occasionally the chance to have their own private dock. The grid-shaped neighborhoods closer to the city's center feature mature trees and well maintained lawns, and this is where you'll find many of the older Ranchers and Bungalows from the 1970s. A little further beyond the city's limits, out in the rural farmlands, is where a surprising number of the newer homes can be found. With a great selection of properties still available, there's also plenty of opportunity to build the home of your dreams too. Like many communities in Sussex County, Seaford is also becoming more and more popular for its great quality of life, access to amenities, and expanding economy. Residents can enjoy great golf at Hooper's Landing, spend the day floating the waters of the Nanticoke River, or perusing the locally owned stores of the historic districts. Seaford also has a great collection of retailers along the Sussex Highway, including Walmart, Walgreens, and Lowe's. Youth in the Seaford area can attend schools in the Seaford School District. Want to find out more about Seaford homes for sale? The Mann & Sons team is your source for Seaford, DE real estate. Send us a message or give us a call at 302.227.9477 to find out more today and schedule an appointment.